I have been following the Chris Brown and Rihanna story and it seems positive that the victim is the R&B superstar Rihanna herself. From the articles posted online, some have expressed their disappointment and hatred towards the "Forever" singer Chris Brown. Article from Billboard.com even predicted that this criminal act of Chris Brown will end his career. Female fans won't forget this incident and sympathy towards Rihanna will bring more fame to her. Chris Brown's career on the other hand would suffer. After this incident by the way, endorsements from Wrigley pulled out Chris Brown's endorsement. Even a radio station in the US pulled out songs of Chris Brown after many requests from its listeners. People are very eager to know on how Rihanna is doing now and where can we see her bruised face. According to the police reports, the victim which was logged as Robyn Fenty (Rihanna's real name) had two major contusion on the head, split lip, bite marks and a bruised face. Too much for a good boy image for Chris Brown. 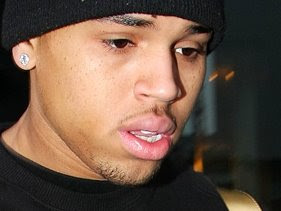 Just an information, Chris Brown's mother was battered before with her boyfriend. He then studied Martial Arts to protect himself. Get the picture? he should have think a gazillion times first. hes no britney spears to be that confident. plus, abuse to women? america is not a big fan of that. I think we are so lucky to be able to do things we love. some Hong Kong celebrities has end the carer movie but when hey are older they are back in acting. I agree with webbielady, sometimes people wants to get attention and they will do anything..